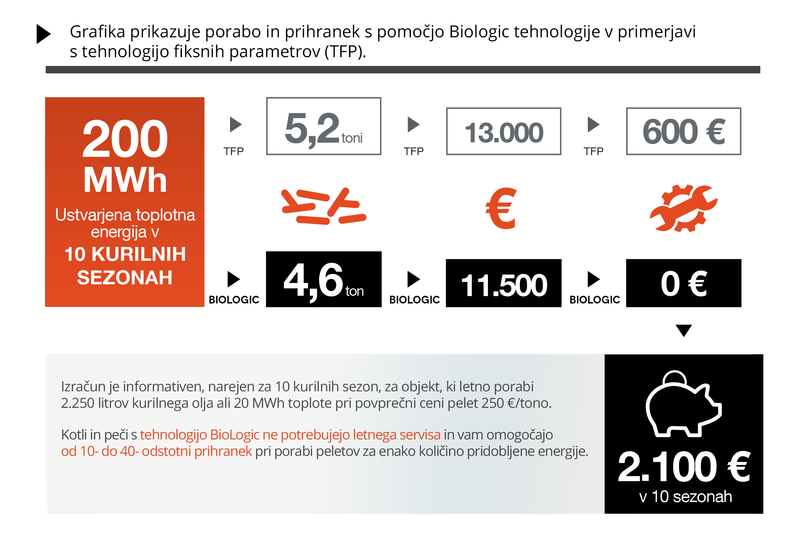 Biologic Technology is a modern approach to the control of combustion plants which are fueled by pellets, allowing self-adjustment of all parameters as a function of the calorific value of the pellets to the drawing of the chimney, as well as recognize the density of air. 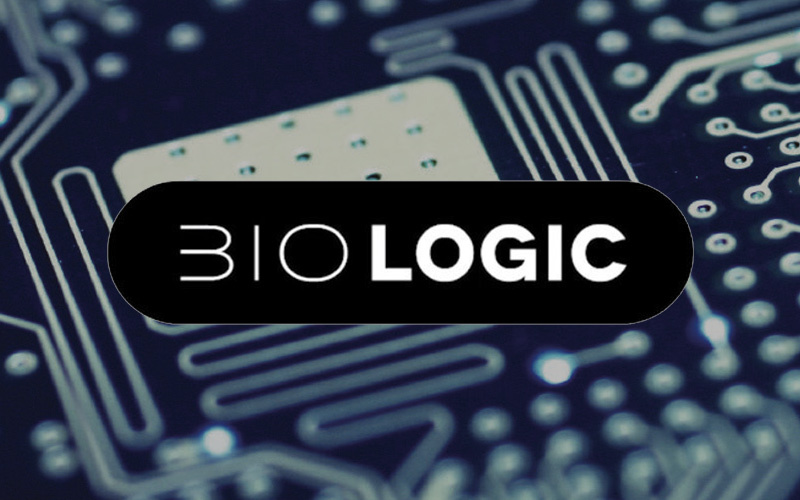 Biologic Technology is constantly changing parameters automatically with the goal of optimal yield of energy from the fuel. So far known methods of control such combustion plants with fixed parameters have a fixed set dosage of fuel and a fixed set speed or voltage fan. Such a mode of combustion plants is very unstabile cause such fuel pellet dosing device by volume (eg 10 l / h). Market offers a variety of specific pellet densities (can be purchased from 550 kg to 700 kg in one m3) equal to the market to obtain pellets with different moisture-water, from 5% to 15%, which means that the tones of pellets can be purchased yield 850 kg of wood, and 150 kg of water, and 950 kg of wood, and 50 kg of water. In the case of combustion installations with a fixed dosing parameters still the same doses (speaking volume); For example; “Combustion appliances can be dosed with 5.5 kg or 7 kg of pellets per hour and at the same time is fed into the burner for 25% less wood-energy product and more water.” The result of such controlled steering represents the dependence of efficiency of the combustion plant of a fixed set of parameters for a certain pellet gravity. In the case where, it is the water content in the form of pellets or specific changes, the yield is also changed and the thermal effect of the combustion plant. Permanently set fan or voltage on it, does not guarantee constant conditions for combustion in a boiler, because the walls of the boiler get dusty with the ashes, thus providing an additional resistor flue gas through the boiler. Chimney and the device operate in conditions of high pressure different as in the case of low pressure, and consequently changing the conditions for the introduction of air into the combustion device. In the case where pellets use fixed parameters, the fan is in a variety of conditions allways rotating the same, and consequently is fed varying amounts of air in the combustion chamber. A major impact on the air mass input into the boiler has a temperature of the air in the room, or the presence of ash in a boiler. These factors influence the temperature of the flue gases (different temperatures of the flue gases – different specific weight of the flue gases), the fan continuously rotates as it is set. The result of operation of the combustion plant with a fixed fan is that the combustion chamber at different conditions is fed varying amounts of air, which in turn affects the efficiency of the boiler. 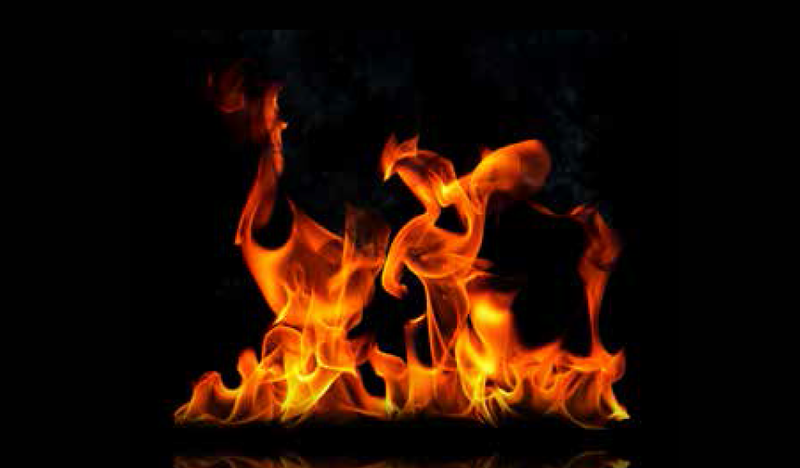 Biologic Technology combustion pellets is, during operation of the combustion plant monitors, continuously watching all of the above descriptive factors and automatically adjusting the parameters, thereby preventing unnecessary loss of combustion. Combustion plants with a steering control Biologic provide maximum boiler efficiency under all conditions. – Caused by blocked or raw chimney (on the walls accumulated ash representing different conditions, than when the boiler has been started). Combustion plants with technology Biologic resistant to such problems and self-regulation to prevent improper operation of boilers and consequently prevent unnecessary damage. 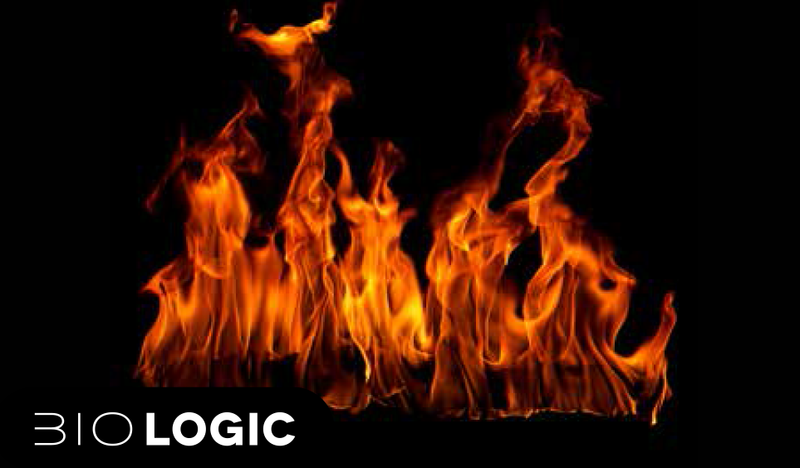 Biologic Technology provides on average 10% lower fuel consumption at the expense of continuous monitoring of combustion and adaptation to current requirements associated with the pellets, supply air to the combustion chamber and identified conditions in the chimney.